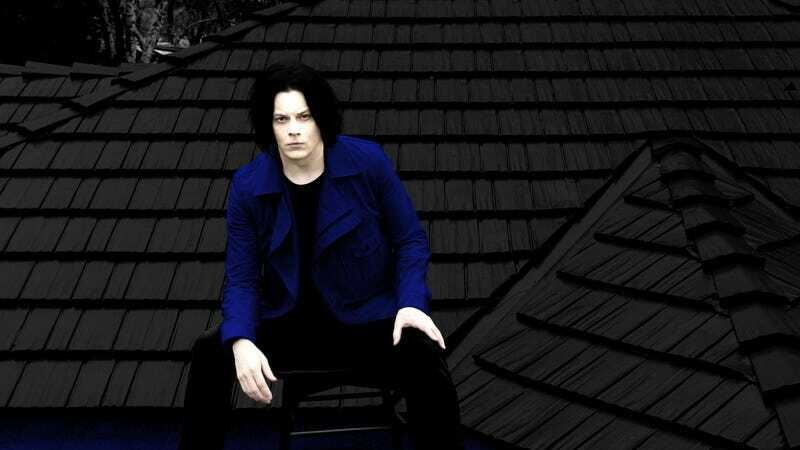 Although Jack White was the primary creative force in The White Stripes, the three albums he’s made since officially going “solo” have all been decidedly non-Stripes-like. Both Blunderbuss in 2012 and Lazaretto in 2014 were rooted in the primitive blues, garage rock, and rural folk music that White made with his partner Meg White for a decade. But unmoored from the rudimentary instrumentation that he’d intentionally saddled himself with in his band, White’s become more ambitious with his arrangements, adding background singers, electronic treatments, and full orchestrations when the mood strikes. The big difference between White’s new solo LP, Boarding House Reach, and the two before it is that he seems more invested in the creative process as an end in itself. Blunderbuss and Lazaretto almost feel like compilation albums of White’s best songs, culled from two years of making records with eclectic batches of collaborators, for a wide variety of projects. Boarding House Reach is arriving four years after Lazaretto, but it doesn’t sound like White’s been spending all that time stockpiling great material. He’s stayed busy as an impresario and entrepreneur, but on his own time as an artist, he appears to have been doing a lot of dicking around. That’s not intended as an insult. Frankly, Blunderbuss and Lazaretto are almost too perfect. Their songs are catchy and fully realized, but also tightly controlled in a way that the more spontaneous White Stripes albums usually weren’t. The word “controlled” hardly describes Boarding House Reach’s “Hypermisophoniac,” which serves up three and a half jarring minutes of erratic rhythms, woozy synthesizer, idle piano plunking, scratchy guitar, and White doing a call-and-response with himself about how there “ain’t nowhere to run / When you’re robbin’ a bank.” It’s all utter nonsense—yet curiously compelling. White has said that he wrote this latest set of songs in a flurry, by holing up in a Nashville apartment and improvising melodies into a tape recorder. He then drafted some New York and Los Angeles musicians he’d never worked with before—mostly from the world of rap, jazz, and R&B—and laid down the basic tracks for Boarding House Reach in under a week, divided between two studios. He took the results of those sessions back home and futzed around with them, using some of the digital editing and mixing technology that he’d always denied himself before. 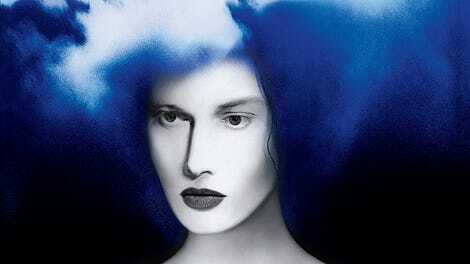 What White emerged with is an album bearing unexpected echoes of other artists. It sounds like Prince—but more The Black Album version of Prince than Purple Rain. It sounds like George Clinton—but from the more experimental side of Parliament-Funkadelic, not “Atomic Dog.” It sounds like hip-hop—but as filtered through early Beck, not Kendrick Lamar. Boarding House Reach’s longest track—the five-and-a-half-minute pro-resistance “Corporation”—comes closest to a classic Jack White blues-rock rager, and it’s still pretty off-model. With its bongo fury; its funky, fuzzy guitar; and its spirited yelps of “Who’s with me?” the song sounds like James Brown fronting vintage Santana, produced by the Beastie Boys. It’s unlikely to pop up on any future edition of Jock Jams, but it’s thrillingly wild. The same can be said of “Over And Over And Over,” with its thrash riffs and distorted gospel choir. And “Respect Commander,” which stitches together snippets of danceable weirdness like an old Art Of Noise 12-inch single. And the album-opening “Connected By Love,” which is as gloriously overwrought and operatic as classic Queen. Reduced to its component parts, Boarding House Reach is a little disappointing. The track that sounds best out of context is “Ice Station Zebra,” and that’s mainly because it synthesizes much of what’s happening on the rest of the record: the slippery time signatures, the sudden shifts from heavy-metal machine-gun guitar to jazz-funk piano, and the stream-of-consciousness rapping. But more than any album White’s made since the dissolution of The White Stripes, Boarding House Reach holds together as a complete piece. The songs complement each other, speaking to the restlessness and reluctance of an artist who’s spent the last decade or so successfully transforming himself into a brand. In his White Stripes days, White often showed up to recording sessions without any new songs, trusting that once he and Meg started playing, inspiration would strike. This new record attempts something similar, and ends up as an astonishing snapshot of a notoriously persnickety creator, exploring the ultimate aesthetic contradiction: forcing himself to be more free. Purchasing Boarding House Reach via Amazon helps support The A.V. Club.